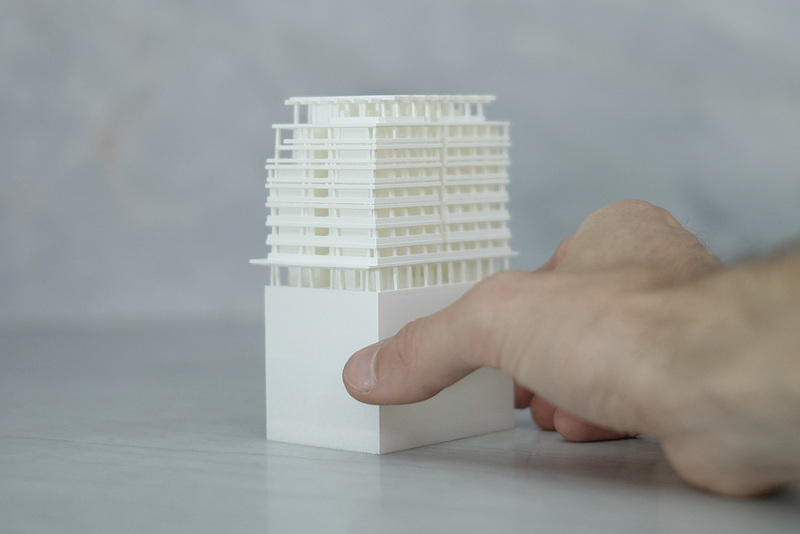 Some recent examples of the highly accurate DA models produced for City of Sydney Council Council Submissions produced by Kink Studio Model Making. 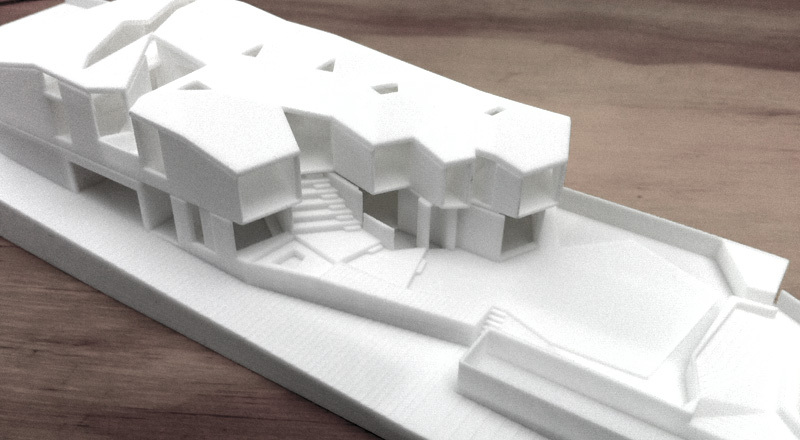 A model we recently produced for Daniel Boddam Architects for a project in Mosman. 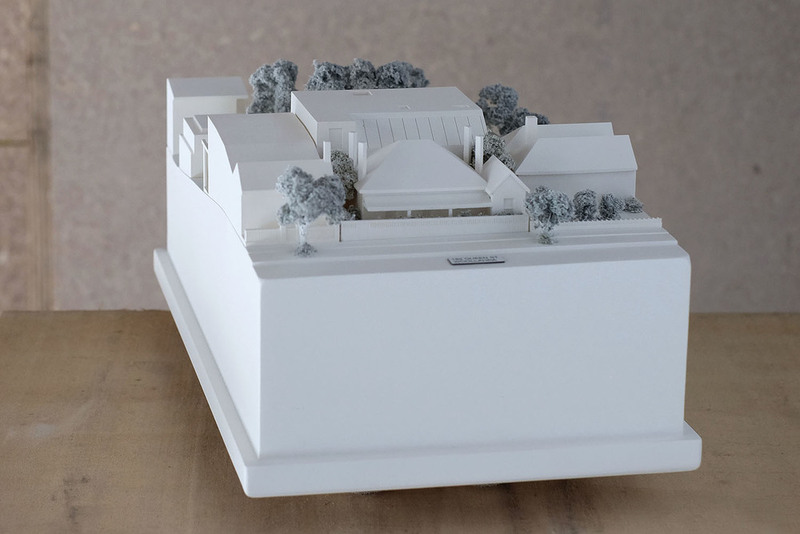 The model is built at 1:200 scale and includes detailing on the design proposal and neighboring sites. We recommend to our clients that all of our Development Application Models are built in a single colour and include neighboring sites which are directly affected by the development. Chenchow Little Architects & Georgina Wilson Architects. 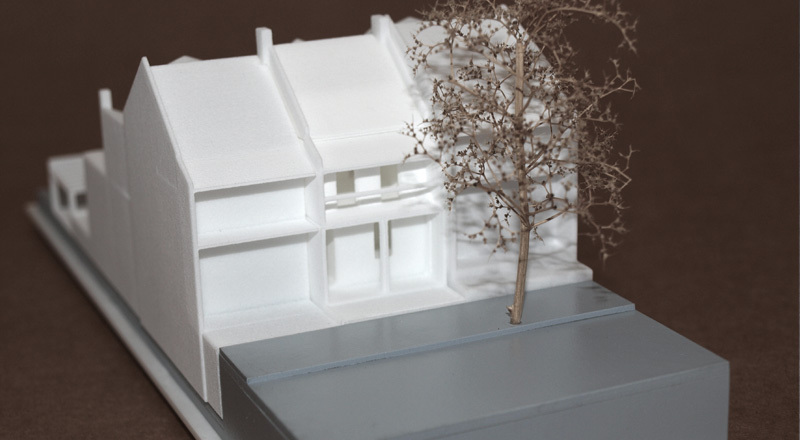 Development Application model for multiple houses in Vaucluse, Sydney. First stage competition model for the Ritz-Carlton at The Star. 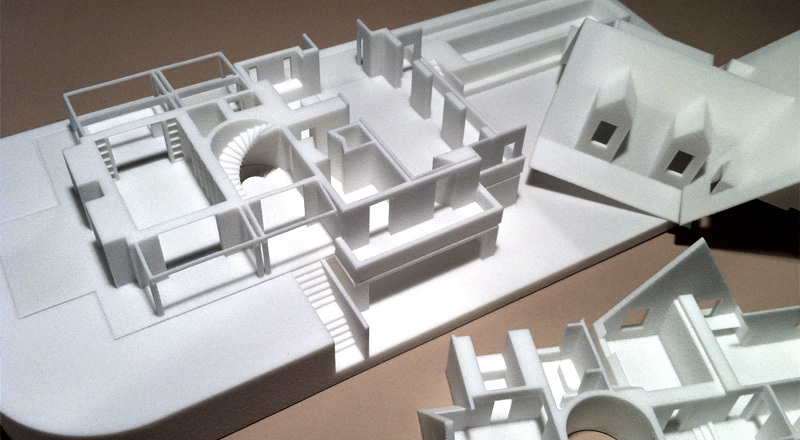 Various details of Architectural models produced by Kink Studio. 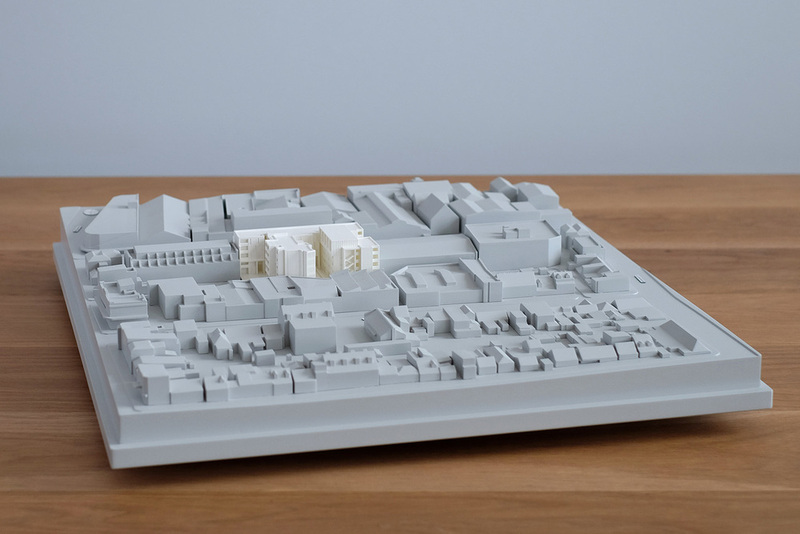 We recently produced a 1:500 Development Application context and physical model for City West Housing in Alexandria. City West Housing was established in 1994 with a charter to provide Affordable Housing for rent in Ultimo/Pyrmont to people on low to moderate incomes. The development is expected to house approximately 65 households and be completed in early 2018. Architectus recently commissioned us to produce a diagrammatic presentation model for their Master plan at Macquarie University. Each of the colours corresponds with the different spaces/programs. A light box has been fabricated to fit within the topography which lights up the various buildings. Residential addition and extension on Queen St, Woollahra, Sydney. Recently completed a 1:5 interactive prototype of 'School-in-a-Box' project in Papua New Guinea; designed by Stephen Collier Architects for Seam Fund. Although most of our architectural model making are for projects based in Sydney, we have completed a few models for international projects in the Middle East (Dubai, Qatar, etc.) and one even in New Caledonia (masterplan model pictured above). Sydney based Laser cutting services. 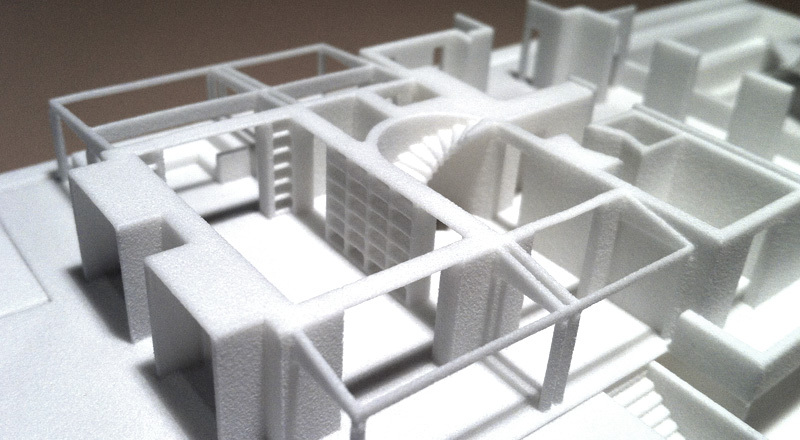 Competition model completed for FJMT Architects.